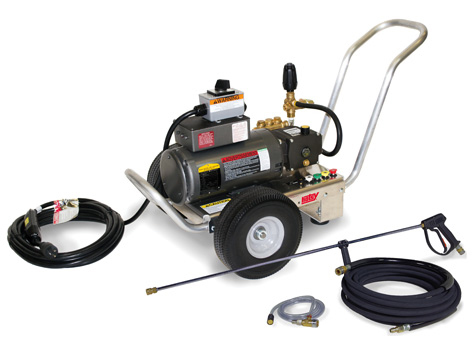 Hotsy's modular cold water pressure washers with corrosion resistant aluminum frame. Wheels can be removed allowing for easy trailer mounting. Models are available in belt or direct drive and powered by Honda GX engines. 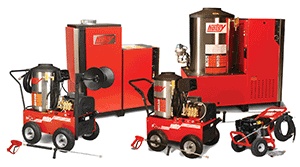 If you have questions or need pricing, please give us a call at 479-936-8000 We are located in Springdale, AR at 372 C. Randall Wobbe, and service Fayetteville, Bentonville, Bella Vista, Springdale, Siloam Springs, Huntsville, Harrison and all points in between.